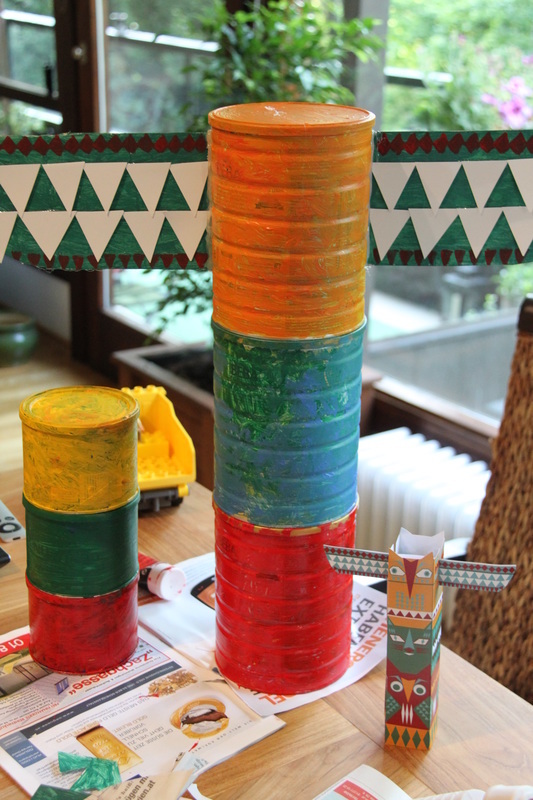 A great pass time and recycling of used tins, I present you with: Totem pole making! I did it as a part of a pow wow party preparation, but it's a fun activity for rainy days. 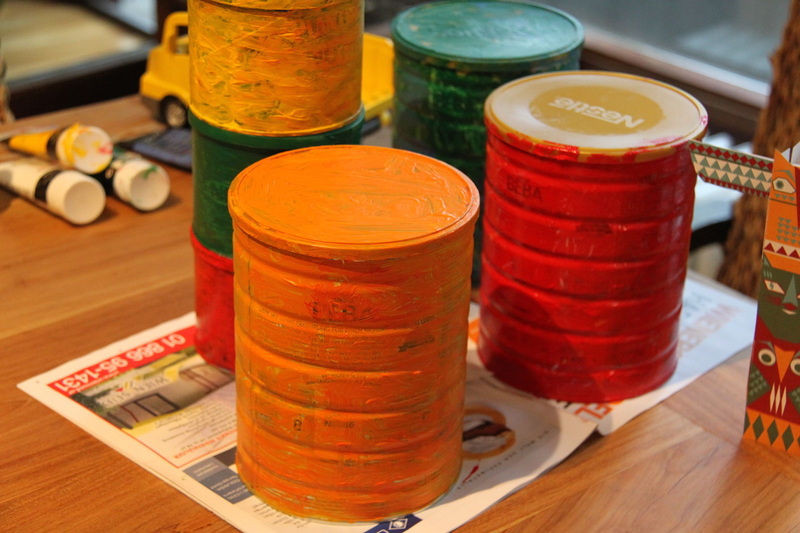 First, employ little people to colour the tin cans. Then, cut out and colour wings for your eagle (I am just assuming you will select an eagle for your totem pole, you can have other animals, too). Decorate your wings and attach to your eagle with hot glue. Cut out eyes, noses, etc. from coloured paper and glue to your totem pole. And you are ready to tell your own family legend. Ours here represented by the eagle (N), kitty (K) and owl (wise parents).